How good is your coordination? Are you quite graceful and rarely have trips or stumbles, or do you always seem to be falling over your own feet. Some of us are naturally clumsier than others. But if you fall into this group (no pun intended) you can change things. You can improve your coordination over time – more so than you might think. Taking on any sport is likely to help you improve your coordination. Martial arts can be particularly good in this area because it relies on you moving in certain ways in order to master certain techniques. As you attend more classes and get better at each technique, you’ll notice your coordination starts to improve as well. It has to – it’s a natural by-product of learning martial arts in the first place. It’s a rather nice by-product to have too. Your improved coordination won’t be noticeable to begin with. But the more classes you get under your belt, the better you’ll get and the steadier you’ll be at all times. You might actually find you’re fitter and more able to take on a range of movements than you were before. If you sometimes feel like your hands or feet are a few seconds behind your brain, this feeling could disappear soon after you begin your study of martial arts. Few of us really think about how we use our bodies to do things, whether it is walking, writing, typing, mowing the lawn or anything else you can think of. But we use and rely on good coordination to do all these things – to do everything we have to do in life. And as your coordination improves through martial arts training, you’ll notice how much easier it is to do a wide range of things far more smoothly and with more efficiency too. Now that’s something worth practising for. 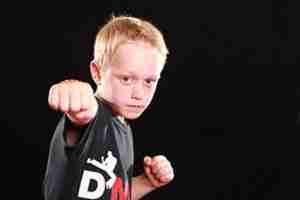 Previous Post Martial Arts: Building Confidence for Kids Next Post Are You Struggling to Lose Weight?